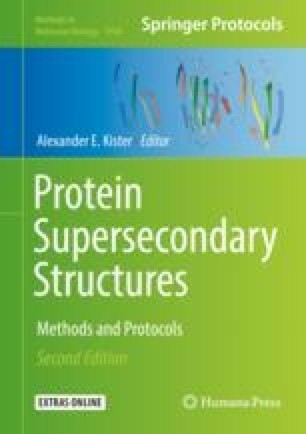 βαβ super-secondary structures constitute the basic building blocks of (β/α)8 class of proteins. Despite the success in designing super-secondary structures, till date, there is not a single example of a natural βαβ sequence known to fold in isolation. In this chapter, to address the finding the “needles” in the haystack scenario, we have combined the sequence preferences and structural features of independent βαβ motifs, dictated by natural selection, with rationally derived parameters from a designed βαβ motif adopting stable fold in solution. Guided by this approach, a set of potential βαβ sequences from (β/α)8/TIM barrels are proposed as likely candidates for autonomously folding based on the assessment of their foldability. The authors thank University Grants Commission, India, for the initial part of this research. RVK is grateful to UGC, India, and Birla Institute of Technology and Science Pilani, Hyderabad Campus, for financial support in the form of research fellowship.